Ah the 90's. Full of boy bands, Rachel haircuts, Beverly Hills 90210 episodes, and the birth of the Internet. Here's my list of the ten best films from that tumulus decade. Enjoy! Quote: "Oh, that's Cosmo... he's Chinese." My quote as a critic: "Showgirls meets Goodfellas meets Pulp Fiction meets Citizen Kane meets Nashville." Quote: "Get busy living or get busy dying." Quote: "That's how you're gonna beat em' Butch. They keep underestimating you." Quote: "What's in the booxxxx, what's in the booxxxx!" Quote: "Told you I'm never going back." My quote as a critic: "And finally there is the ending. Possibly the greatest film ending of all time. Echoing the Steve McQueen classic Bullitt (1967), it's a standoff between good and evil for the ages at where else, the airport. I don't care if you are a grown man or not, you'll probably shed a tear or two. Heat is a movie for people who love movies. I consider it one of my all time faves." Quote: "Do you ever feel evil." My quote as a critic: "With tension that is calculated with every searing minute, A Simple Plan is a thriller to be reckoned with. No one is safe in this movie. With a few nasty twists and turns, you get some brilliant tooth and nail film making from Sam Raimi." Quote: "I seen another world. Sometimes I think it was just my imagination." 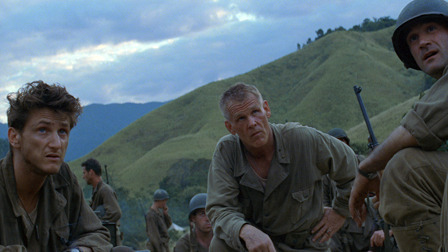 My quote as a critic: "Director Terrence Malick came out of sort of a mini retirement (his previous films were Badlands in 1973 and Days of Heaven in 1978) to make this original and genuinely cerebral World War II film based on the infamous battle of Guadalcanal. A lot of big name actors with small parts contribute to his alley like return to the film making ring. The result is a powerful movie that stimulates the brain and pulls at the heart." Quote: "No intensity, no victory." My quote as a critic: "As usual, Stone literally pulls out all the stops. And with all of his movies, he gets the most out of his actors (at the time Jamie Foxx was not much of one but he sure does shine here). From multiple viewings, I can tell you that this flick is an invigorating and explosive ride. If you saw it back in 1999, you'd realize that Oliver Stone could make an effective movie about any subject. It's just a shame that he hasn't risen to the occasion since." Quote: "I read you like a Marvel Spiderman comic book." My quote as a critic: "In essence, Spike Lee has every resource possible to flex his directorial wings. This, in my mind, is one of the strongest films he has made as a director. His technique is exuberant. 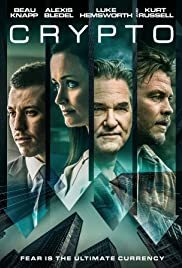 You get a lot of slow motion scenes (set to music, of course), a shot that pans over the view of one of the film's most pivotal moments (a protective murder of a burnt out drug addict by a young boy), some solid jump cuts (at the beginning during one of the drug deals), and high energy flashbacks that are quick and to the point."